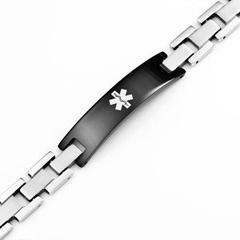 Our black stainless steel medical id bracelet is perfect for men due to its durability and abd stylish look. 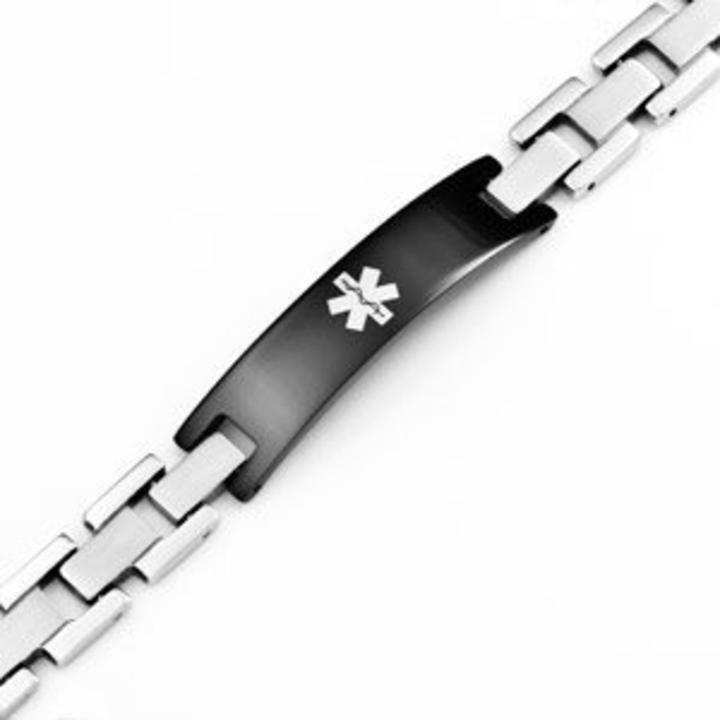 Engraving is done in laser and will expose stainless silver color under black plating to create a high-contrast inscription. Engravable on back only with up to 4 lines of engraving.